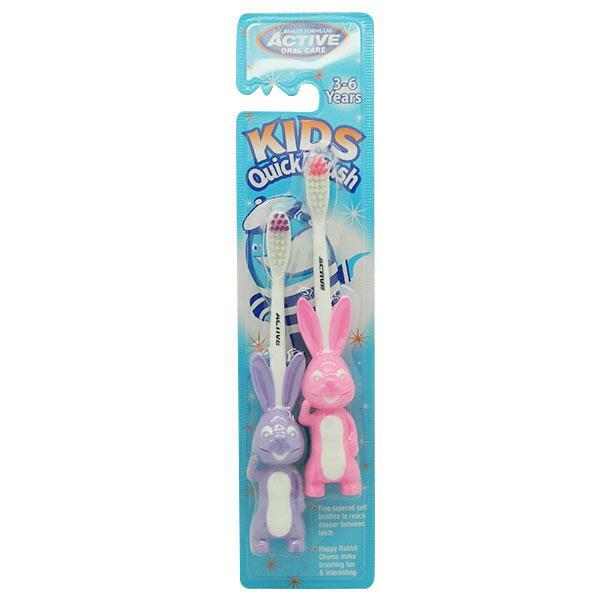 Beauty Formulas Active Oral Care Kids Quick Toothbrush is suitable for children aged 3-6 years. The fun rabbit designed toothbrush has soft bristles that make it easier to reach between the teeth. This is a stand-up brush that comes with a suction cup.